Does money ever taste good? It does, when it is in form of our Chocolate Silver Quarters and Pennies! 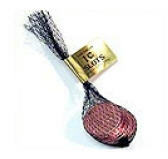 These chocolate coins, each with a diameter of 1.5” are packaged in little mesh bags. The bundles are the perfect souvenir to present to all the guests at your wedding, baby shower, birthday, etc. Kids will also love receiving them at Hanukkah.